Rory Dwyer is the Electric Utility Administrator for the City of Boulder City. Born and raised in Henderson, he is a registered Professional Engineer in the state of Nevada. He has worked in the Power Engineering field since 1987, and has provided consulting services for projects spanning four continents. He is a retired Navy Reserve Engineering Duty Officer, with active service as a submarine reactor operator. Mr. Dwyer graduated from Rensselaer Polytechnic Institute with B.S. and M.Eng. degrees in Electric Power Engineering. He and his wife are the proud parents of two. Douglas Beatty currently serves as the Finance and Administration Division Chief of the Colorado River Commission of Nevada. He has been with the Commission for over 20 years. He received a Bachelor of Science in Accounting from the University of Utah and moved to Las Vegas in 1983 to begin working for a national accounting firm. While with the firm he specialized in governmental accounting and earned his Certified Public Accounting certificate in January of 1986. In addition to the CPA designation he is also a Chartered Global Management Accountant. He is a member of the American Society of Certified Public Accountants, the Nevada Society of Certified Public Accountants and a member of both the National and State Government Finance Officers Association. Mike Fetherston was born and raised in Overton Nevada. After high school, he worked as an auto mechanic for two years and then went to work for NV Energy. He has worked for NV Energy for 40 years; starting out as an Operator in a coal fired power plant and working up to a Plant Supervisor. 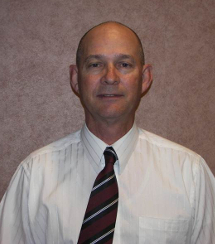 Mike has previously served on the Moapa Valley Town Advisory Board. 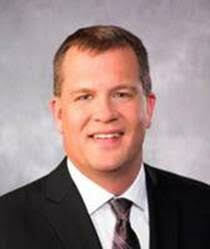 He is presently serving on the Muddy Valley Irrigation Board and is Chairman of the Overton Power District No. 5 Board of Trustees. Mike and his wife have 5 children and 17 grandchildren. Edward Wright was born in Portsmouth, Ohio. He attended White Pine High School in Ely, Nevada, and moved to Caselton in Lincoln County in 1979. He has been a business owner of Tillie's Mini Mart in Pioche since 1987. Mr. Wright has served as a Lincoln County Commissioner, a Pioche Chamber of Commerce member, a Lincoln County Planning Commission member, and a Lincoln County School Board member. He also served as a member of the Lincoln County Power District No. 1 Board of Directors from 2003 to 2010 and is currently serving on that board again. David L. Johnson is the deputy general manager of engineering and operations for the Las Vegas Valley Water District and Southern Nevada Water Authority. Johnson has been with the agency since 2004, serving as director of the Water Quality & Treatment department for the Southern Nevada Water Authority. He has more than 20 years of experience in chemical manufacturing management, water treatment and water quality management. He earned a Bachelor of Science degree in chemical engineering from Purdue University and maintains Level 4 Water Treatment and Level 4 Distribution certifications from the Nevada Division of Environmental Protection. He and his wife, Lisa, have lived in southern Nevada since 1998 and have four children.